Tattoo printing has been a tradition since ancient times. It is a symbol of religion, culture, beliefs. A Korean company has now taken this tradition to a next level. Tattoos always look cool but getting one is quite a commitment. What if I tell you that now you can print any kind of tattoo yourself at your home. Yes, with SketchOn's Prinker tattoo printer it is now possible to print tattoos anywhere. It is painless and quick. The tattoo is printed on your skin within a blink. No pain, no syringes and no infusion of ink in the blood. SketchOn is a South Korean startup company that recently launched its Portable Tattoo Printer named Prinker. This small device acts as a printer and all you need to do is just rub it on your body where you want the tattoo to appear and Prinker will draw fabulous and splendid images on your skin in seconds. The device comes in 5 different colors- Red, Yellow, Blue, Black, and White. 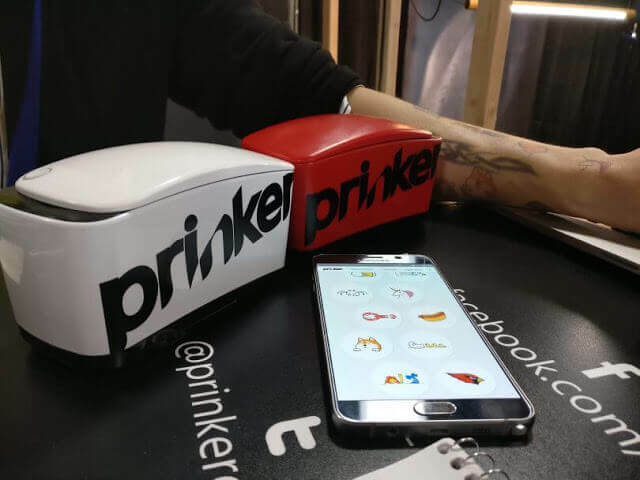 The device is paired with a Prinker App which is available on App Store and Google Play. You can edit your pictures, purchase new pictures and also draw a new picture of your own and sell it. 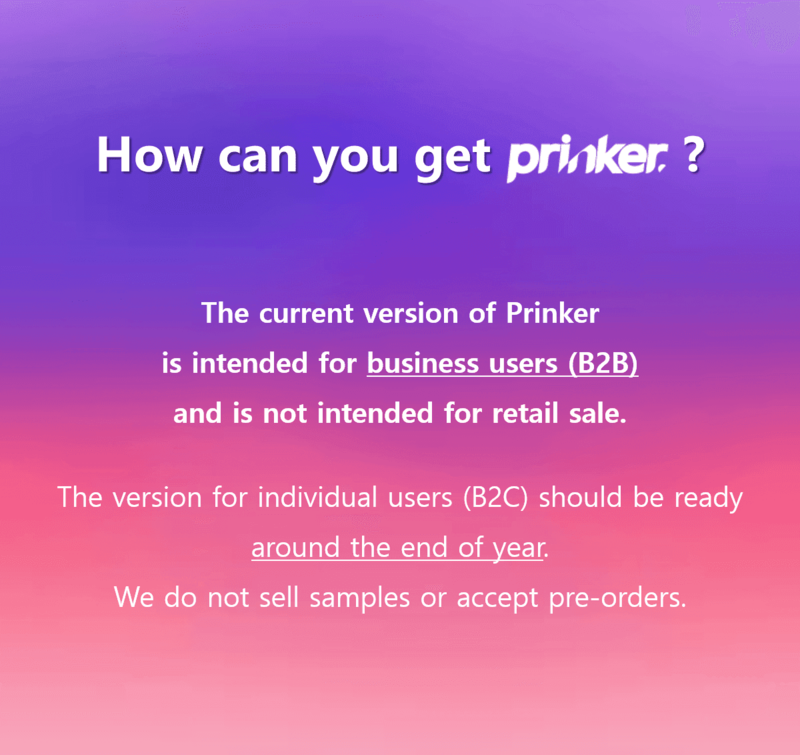 All this can be done through Prinker App. Of course, it is. It is eco-friendly as it uses cosmetic ingredients in its ink. Image applied by Prinker are waterproof and soap washable and they remain intact for 1-3 days. Whereas if you get a permanent tattoo then the ink is infused in your blood through very thin needle. That said, many love to get a permanent tattoo and believe it to be a symbol of their personality. So it is all about choices and beliefs but yes if you always wanted to get a tattoo but didn't wanted to go through all the pain then now is your time! How can you buy Prinker? SketchOn has been commercializing Prinker as a rental device in Korea. Companies pay 150$ a day to use the machines in events or for marketing. It will launch it in China and USA very soon. For individuals, its price is estimated to be around $200. However, there has been no other information received from SketchOn yet. Below is an image announcement by SketchOn on their official facebook page. Good News for all Prinker fans: SketchOn has now announced that new Prinker machines are now in production and very soon common people will be able to get their hands on them. However, they have not declared any officail date or time as to when the production will be out in the market. We will keep you updated.